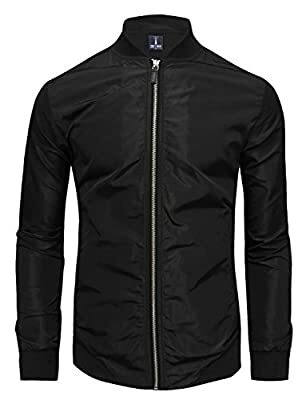 Offering a convenient, packable design, stylish and a cozy stand collar, this lightweight jacket from Tom's Ware is a handsome way to finish your relaxed, yet sophisticated casual look. A midweight windbreaker featuring a zipped front , ribbed trim cuffs collar and hem. This jacket will surely keep the wind away in all weather conditions.